Screening of youth slam documentary "Louder Than a Bomb"
A screening of the youth slam poetry documentary LOUDER THAN A BOMB will be held at 8 p.m., in Page Hall. 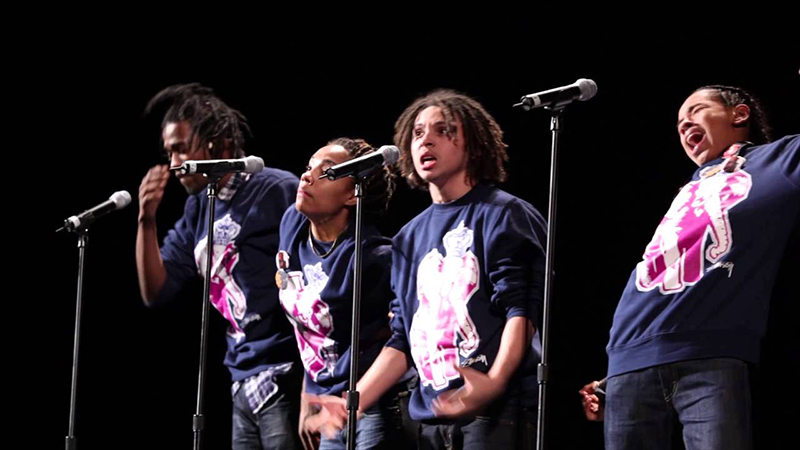 The documentary LOUDER THAN A BOMB, (United States, 2010, 99 minutes, color), directed by Greg Jacobs and Jon Siskel, tells the story of four Chicago high school poetry teams as they prepare for and compete in the world’s largest youth slam. Free and open to the public, the programs are cosponsored by UAlbany’s English Graduate Student Organization, Graduate Student Association, English Department, and the New York State Writers Institute.